Here we will follow the recipe in steps. Take rice in 2 separate bowls (50gms of rice in each bowl). Wash the rice and add water (100gms of water in each bowl). Place these bowls in a pressure cooker and cook them. When pressure develops in the pressure cooker, lower the flame and cook for 10 minutes. After 10 minutes increase the flame and let pressure build up in the cooker. Before the cooker whistles, switch off the flame. As soon as the cooker cools down open the lid and remove the cooked rice bowls. EETARAKA MUNDU ANNAM GINNALANI COOKERLONINCHI TEESEYYALI. Add half a teaspoon of ghee in each rice bowl and mix with a fork. When ghee is added the grains of cooked rice will get separated. When mixed with a fork the rice will not get mashed up. Take all the ingredients except salt and oil in a plate and keep it near. Heat a pan and add oil to it. When the oil is hot add the ingredients and fry till the chilies are crisp. By then the aroma of the cinnamon, cloves and big cardamom gets into the oil. This seasoning when mixed with rice gives it a nice flavor. Switch off the flame and add turmeric powder. Mix well and add this seasoning to one bowl of cooked rice. The rice gets a nice color from the turmeric powder in the hot seasoning. One can even add saffron milk (few strands of saffron soaked in few table spoons of warm milk) to the rice for nice yellow colored and flavored rice. Mix the rice only with a fork otherwise the rice gets mushy. Add around 1/8tsp of salt in each bowl of rice and mix well with a fork. Like this prepare one bowl of plain white rice and another bowl of yellow seasoned rice. Powder the cinnamon, cloves and big cardamom in a mortar & pestle and keep this powder covered till use to retain the aroma. Heat a pan and add 2tbsps oil to it. When oil is hot add the sliced onions and fry. Fry the onions stirring all the while till they turn brown in color. Take these browned onions in a mixie jar and add garlic and ginger. Grind the onion mixture to a fine paste adding some water. 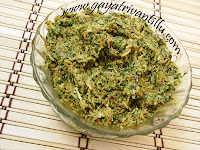 To this ground onion mixture add curd, salt, red chili powder, ground cinnamon, clove and cardamom powder, turmeric powder, coriander powder, cumin powder, dried fenugreek leaves, chopped mint leaves and chopped coriander leaves. Whip the mixie jar ingredients to get mixed well. The marinade is ready now. Keep this marinade aside till use. Dum Biriyani Part – 2. It is very important to remove the cooked rice bowls from the cooker as soon as the cooker is cooled down. By doing so, the starch in the rice grains will not settle on the cooked rice to make it compact. And it is also necessary to add ghee immediately and mix with a fork. After mixing ghee if you observe, the rice looks under cooked as we have stopped the process of further cooking (with the heat in the rice grains—EETARANIVVAKUNDA TEESESAMU KABBATTI ANNAM KODDIGA TAKKUVA UDIKINATTU UNTUNDI). Do not worry—the remaining cooking is done in the oven while giving DUM. Usually for Biriyanis, rice is cooked in lot of water. When the rice is three-fourths cooked we need to strain the rice and remove excess water. By this process, the rice grains are separated and it looks fluffy. But the rice is under cooked—so the remaining cooking is done while it is kept for DUM in the oven. The strained starch is either thrown away or used in soups. Here I have cooked the rice fully but removed it from the cooker before it settles (EETARAKAMUNDU TEESEYYATAM) to separate the grains. This way we need not strain and throw away any liquid at the same time we get rice of the right texture for the DUM BIRIYANI. Always use a fork to separate the grains of cooked rice. This way by using a fork the rice will not get mashed up. If you get good quality saffron, use it by soaking in warm milk. Mix the saffron milk in one portion of cooked rice to get a nice yellow color and flavored rice. nenu rice lover ni, miru chesina veg dum biryani chusanoo so tempting andi, kani whr can i found 'vulli odiyalu' intlo ne chesukone vidhanam theliyajeyagalaru? 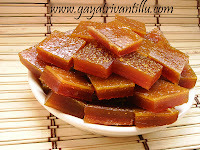 alage summer kabbati konni odiyalu or/ oriyalu recipe ni choopincha galaru.. waiting for your reply thank you..
Iam married spouse who stays abroad..I used to cook ..but for name sake. 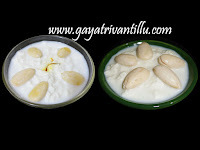 Could you please post some simple "vadiyalu" recipes easily we can made at home. Apart from giving such tasty recipes, I thank u for having posting those thoughtful lines in telugu. I think it would be good if u translate it in english and explain. May be many will know more.